From January to December 2018, the total turnover of 45 professional markets surveyed by CATA (China Commercial Circulation Association of Textile and Apparel), CNTAC, was 1,209.334 billion yuan, a year-on-year increase of 6.55%. From January to December 2018, the total turnover of the surveyed 45 key markets was 1,209.344 billion yuan, a year-on-year increase of 6.55%. Among them, the turnover of 24 markets increased year on year, with an average increase of 8.31%, while the turnover of 20 markets decreased year on year, with an average decrease of 4.08%; the turnover of one market was the same as that of the same period of the previous year. From the perspective of market operation efficiency, from January to December, the average operating efficiency of 45 key markets was 54,797.59 yuan / square meter, an increase of 6.55% year on year; the average retail efficiency was 4,175,600 yuan / shop, an increase of 7.15% year on year; the average merchant efficiency was 4.6396 million yuan / household, an increase of 9.04% year on year. From the perspective of regional structure, from January to December, among the 45 key markets, the turnover of professional markets in the eastern region was 996.299 billion yuan, a year-on-year increase of 7.23%, accounting for 82.39% of the total turnover of the professional market. That in the middle region was 145.036 billion yuan, a year-on-year increase of 7.06%, accounting for 11.99% of the total turnover of the professional market. That in the western region was 68.009 billion yuan, down 3.32% year on year, accounting for 5.62% of the total turnover of the professional market. From the perspective of circulation level, 45 key markets include 29 specialized markets for production and 16 specialized markets for sales. From January to December 2018, the turnover of 29 production-oriented markets was 1,101.350 billion yuan, a year-on-year increase of 7.74%; the turnover of 16 sales-oriented markets was 107.994 billion yuan, a year-on-year decrease of 4.20%. According to the statistics of CATA, 15 new textile and apparel professional markets were established from January to December 2018, 13 in the eastern region and 2 in the central region. The total investment in the new professional markets was 16.5 billion yuan, and the total construction area of the new professional markets is 4.448 million square meters. The average investment cost (increase in unit construction area) of the newly added textile and apparel professional markets from January to December 2018 was 3,709.53 yuan / square meter. From the perspective of circulation level, from January to December 2018, the turnover of 29 production-oriented markets was 1,101.350 billion yuan, a year-on-year increase of 7.74%; the turnover of 16 sales-oriented markets was 107.994 billion yuan, a year-on-year decrease of 4.20%. The manufacturing-type markets rely on the strong industrial base of industrial clusters, giving full play to the advantages of the primary source of goods, improving the efficiency of the industrial chain, advancing the level of original design, and continuously achieving medium- and high-speed growth. In recent years, the flattening of traffic and the flattening of channels have led to an increasingly obvious trend of “disintermediation” in the field of textile and apparel circulation. The market for distribution and sales, which is based on the geographical advantages of extending in all directions, is facing a huge test, and it is urgent to reshape the new position and establish new advantages. From the regional perspective, in the 45 key surveyed markets from January to December, the turnover of professional markets in the eastern region was 996.299 billion yuan, up 7.23% year-on-year; the turnover of professional markets in the central region was 145.036 billion yuan, up 7.06% year-on-year. On the basis of a large base, the eastern region has maintained a steady growth of more than 6%. The development is solid and powerful, and the advantages are obvious. The professional markets in the central region have maintained a high growth in the four quarters of the year. In the newly added markets, there are more new opening markets in the industries undertaking regions. 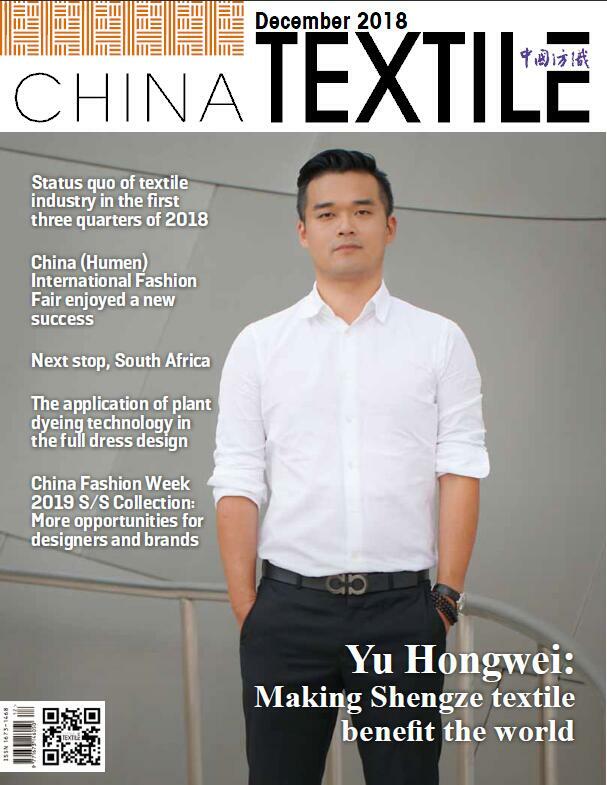 In recent years, the textile and apparel professional markets in Beijing have been gradually moving out of Being, with a large number of merchants in Beijing moving to Hebei and Tianjin. In addition, a certain number of merchants have transferred to the southern part that enjoys textile and garment industry advantages.